Is nanotechnology in sunscreen good or bad? How do you solve a problem like zinc oxide? This white mineral gently protects you from the entire UV spectrum but its thick, greasy texture feels SO uncomfortable on the skin. And don’t get me started on the white cast it leaves behind! Zinc oxide is so annoying, it makes you want to cheat. You know nothing else comes even close to it but at least you don’t have to go around looking like Caspar all day. Ditto for titanium dioxide, zinc oxide’s cousin. There must be a way to make them work. What The Heck Is Nanotechnology? To cut a long story short, nanotechnology takes one large particle, like zinc oxide, and makes it super small. (Nano is short for nanometre. That’s one billionth of a metre or, in lay terms, about one thousandth of the thickness of hair). Micronized zinc oxide and titanium dioxide behave differently. They’re as gentle and effective at fighting UV rays as ever but their new size makes them invisible to the naked eye. You know what that means? No more white cast! Yay! Plus, their textures aren’t greasy anymore. You can pile on the layers without feeling like your skin is being suffocated. What’s The Problem With Nanotechnology? Not according to its critics. Here’s the deal: we know that normal-sized zinc oxide and titanium dioxide are too big to penetrate the skin. They just sit on its surface, where they can’t cause any serious (think like cancer) side effects. But, these much smaller sizes? Are they as harmless? Well, some studies have found something worrying: these nanoparticles can produce free radicals, the molecules that damage DNA cells. Scary, right? But, there’s a catch. They do this only when they penetrate past the outer dead layers of the skin and into the living cells. This would also make them useless as sunscreens. UV filters must stay on top of the skin to work. How else could they stop those pesky UV rays from getting in and damaging your skin? Current research is clear: nanoparticles remain on the surface and can’t reach the living cells. But, if you’re really worried about free radicals, just use your sunscreen together with an antioxidant serum. That’ll destroy those free radicals before they can do any real harm. Topical application is safe. Inhalation is another matter entirely. Studies done on rats show that, when inhaled, nanoparticles can damage animal lungs. I couldn’t find any studies on humans but, just to be on the safe side, don’t breathe this stuff in. To recap: nano cream sunscreens = yay! nano spray sunscreens = no way! Nanoparticles in sunscreens are safe. Just avoid the spray kind. Have you ever used sunscreens with nanoparticles? Do Sunscreen Drops Provide Adequate Sun Protection? Are You Applying Sunscreen The Right Way? I went to a seminar during my first year in grad school and a guy gave a speech about nanoparticles and fishes. Apparently, some fishes get tumors when exposed to man-made nanoparticles in the water. The sunscreen I use still has a white cast and it’s a lifesaver to me since chemical sunscreens give me big breakouts. Even if antioxidants are added to reverse the oxidizing properties of sunscreen, wouldn’t the exposure to sunlight immediately break down any antioxidants, assuming that they are stable in the first place? Danielle, totally an great question! They do break down. They do, however help to offset the damage. At least they don’t break down as fast as they would if you didn’t have sunscreen. This is one reason why you should wear an antioxidant serum underneath your sunscreen. To put it in a nutshell; antioxidant in sunscreen simply aren’t enough! My flippant reaction is that nanotechnology sounds awesome and reminds me of nanites from Stargate. Of course, the nanites were actually pretty bad. If they can create free radicals, it seems a wee bit daft to me, considering that the sun is one of the primary causes of free radicals and thus one of the reasons why we use sunscreen. Personally, I wouldn’t mind having a white cast. I’m already milk-colour, I welcome pale. nano techonology is so popular in the far east here. everything with nano suddently seems to be better. personally, i am very wary about it. i’d rather have a white cast instead. .-= jojoba´s last blog ..Revew/Swatch/FOTD: T. LeClerc Sunflower Pressed Powder =-. gio this is so enlightening. all the while i thought everything with nano technology has to be better in terms of penetrating deeper into skin and repair or protect. in tht case i agree with jojoba, i wouldn’t mind a white cast on my face then. .-= prettybeautiful´s last blog ..Nail Monday =-. Dao: I read a study about that too. Apparently fishes exposed to nanoparticles developed brain tumors. I don’t think it was Titanium Dioxide or Zinc Oxide, though. So far, these have been proved to be safe when applied topically on healthy skin, but ingestion and inhalation is dangerous. But like you, I prefer physical sunscreens and don’t really care about the white cast, my skin is white (litterally) anyway. Danielle: that’s a good point. Antioxidants degrade when exposed to sunlight, not sure if that happens immediately but very rapidly, yes. Since sunscreens are supposed to be reapplied frequently anyway I wouldn’t worry too much about it. Nanoparticles can’t penetrate the skin so even if antioxidants weren’t added I doubt they would generate free radicals. Anastasia: lol, I had to google that, I’m not a Stargate fan unlike my mom. She has never missed an episode. But they sound pretty nasty. I know, it sounds silly to me but since nanoparticles can’t penetrate skin, I don’t think that would be a problem. I’m more concerned about chemical sunscreens that are said to generate free radicals too and that’s why I tend to avoid them. 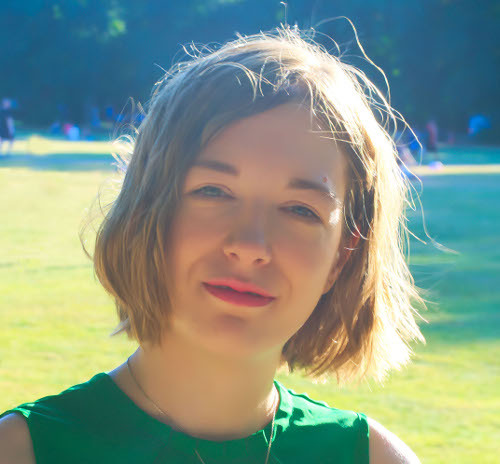 I stick to Zinc Oxide and Titanium Dioxide as they are the best sunscreen ingredients available at the moment and I don’t mind the white cast either. Kinda matches my skin anyway. Jojoba: I agree with you. Although topical application is supposed to be safe, and is definitely safer that not wearing sunscreen or using one that doesn’t offer broad spectrum protection, these particles haven’t been studied much and some concern about their safety (esp regarding inhalation) remain. 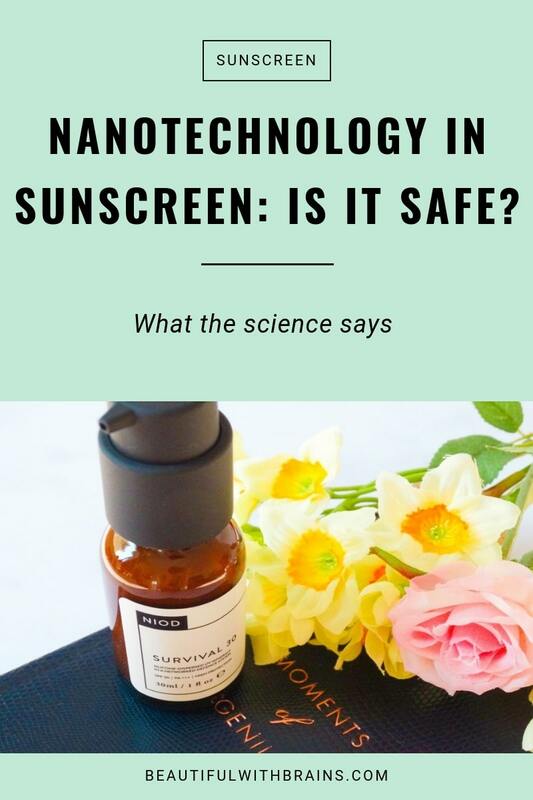 Based on current research, I wouldn’t avoid sunscreens with nanoparticles, but I’d still I’d rather stick to physical sunscreen that don’t contain them as they are a better option. prettybeautiful: that is a very common misconception. But actually these particles can’t penetrate skin (most ingredients used in beauty products can’t, doesn’t matter what marketing says) and in any case, you wouldn’t want them too. In order to protect the skin from the sun rays, these ingredients have to remain on the surface. I don’t mind the white cast either, being properly protected is more important.